All in one, they say: what if a single box could provide all your entertainment? "Xbox On," you'll say, and the little fella off to the right will do it for you. No more manual login, no more fiddling around. 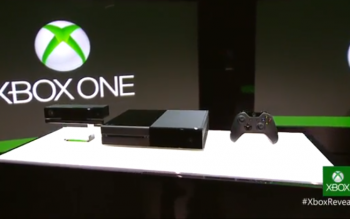 This is the device Microsoft will be calling Xbox One, as revealed today by the folks over at Redmond. Voice commands are going to be what gets you from electronic A to B. Control is managed pretty much seamlessly - at least in the demo - taking you from "Xbox: watch ESPN" to "Xbox: Skype" in a second. Simple, instant, and complete are Microsoft's new watchwords. But for moment, just feast your eyes on the kit in the picture; this is only the first reveal today.